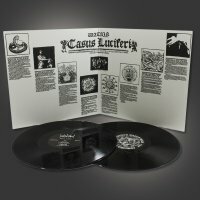 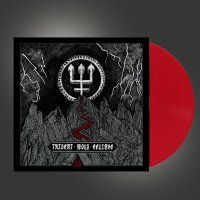 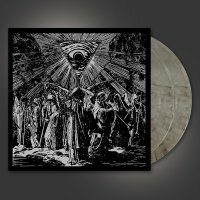 – “Trident Wolf Eclipse” on silver 12” vinyl, in a 3 panel gatefold LP sleeve with exclusive photos and artwork, along with a gatefold sized insert. 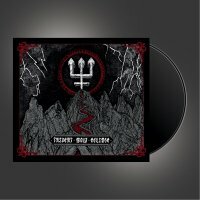 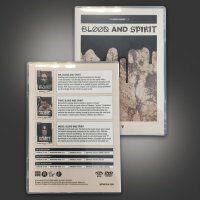 – “Trident Wolf Eclipse” on CD in a paper sleeve with exclusive artwork. 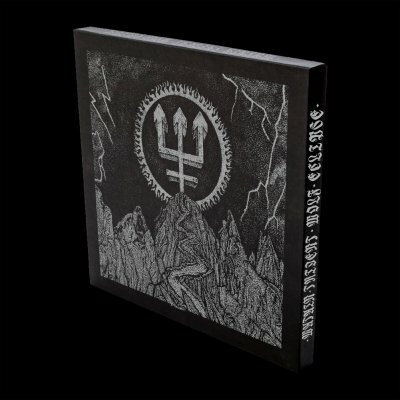 – “Antikrists Mirakel” 7” EP - the appendix track of “Trident Wolf Eclipse” on vinyl with exlusive artwork by H. Jonsson. 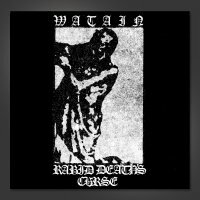 – “20 Years of Watain” – 40 individual flyers and photos documenting the first 20 years of Watain. 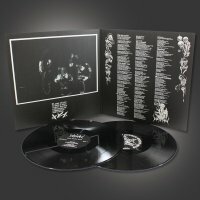 – Double sided poster (60×30 cm) with exclusive artwork.